This is a brief list of definitions and explanations of the marketing strategies that help business owners and entrepreneurs grow their businesses exponentially. Exponential. The simple definition is “increasing at an increasing rate”. What that means is that you make more money this month than you made last month and not as much as you’re going to make next month. Exponential Mindset involves having fun doing out-of-the-ordinary things that create extra-ordinary results with the least amount of effort and the lowest cost. Exponential Marketing. These are strategies that increase sales and/or profits by 100% or more per year. Exponential Potential is all about finding assets that lie hidden in all businesses which can be uncovered and turned into cash or value, in some cases – overnight. Unique Selling Proposition. A short statement that encapsulates what makes you different from your competitors, what and how you sell your products or services as well as the value proposition that will get prospects to part with their money. It’s NOT a slogan, but a philosophy that must permeate everything you do. Host Beneficiary Partnerships are mutually beneficial relationships whereby a bilateral or even multi-lateral relationship is established to create value for all parties involved. In contrast to a standard affiliate program that is primarily discount/commission-based, a host-beneficiary relationship is about value creation that can include a discount/commission structure, but usually involves much, much more than that. Each Host-Beneficiary relationship is unique and must be designed to match the value propositions that each partner wishes to extract from the relationship. Management By Metrics. Simply stated, this is measuring how and what you’re doing – as you’re doing it. Most businesses don’t do this, so they (1) don’t know what’s not working and (2) can’t easily and quickly replicate what does work. Pathways To Profits. This visual tool identifies how clients come into your business. Each pathway shows how you can optimise your value delivery by decreasing the time, effort and/or expense and increasing the price and/or profit of what you deliver. Business Building Blueprint. A 3×4 foot (A0) piece of paper that includes all the components and strategies you need to grow your business exponentially. Gone are the days of countless pages of marketing, operational and financial plans nobody reads. Next Best Step. Most business people struggle with never-ending to do lists. This simple, easy-to-understand process combines Management By Metrics with Pathways To Profits to determine what the next best thing to do is – based on what your outcome is. It’s not a one size fits all solution. It’s a dynamic process that adjusts to you and your business in real time so that you always know what you should be working on and WHY. Marc’s Marketing Milestone Matrix. When you put your Next Best Steps together, you need to use this matrix to make sense of it all. Without it, you’re back on square one with a to do list that doesn’t work. With this matrix, you can delegate and manage multiple campaigns – each designed to produce a specific outcome that converges toward your strategic outcome or goal. Dr Dussault’s Demographic Descriptors. Knowing how to talk to your suspects, prospects and clients is key to getting more people to buy from you. This quick checklist allows you to speak their language to increase conversion enhancing your influence and improving your persuasive skills. Marc’s 3X3 Multiple Momentum Mailing Matrix is used to exponentialise e-mail campaigns. Everyone knows that one email does not a campaign make. This matrix approach ensures that you leverage Management By Metrics within your Pathways To Profits to reduce your marketing spend without increasing your conversions. Reversing For Results is a process that is used by Exponential Marketing Aficionados to systematically replicate and repeat successful results with Management By Metrics™ principles by retrospectively analysing how success was created. 20/20 Foresight. Even though this sounds impossible, the future is actually easy to predict. With sufficient research and understanding of trends and fads, momentum can forecast what will and won’t happen. In 1994, I predicted the top 10 forces that were going to affect the printing industry 10 years before they occurred – all 10 played out as forecasted. 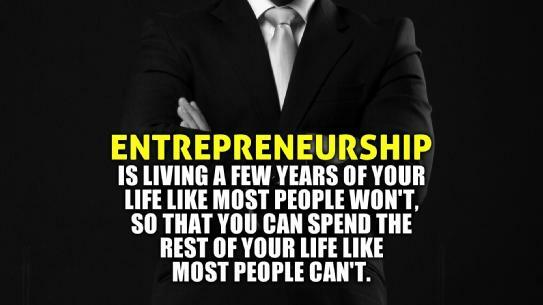 To achieve this, all I had to do was exceptional research and analysis which was the basis of my MBA Thesis. Yes, I know – Hindsight is 20/20. Imagine if you could look into the future with as much clarity and conviction! The Internet Double Whammy effect is when offline and online strategies are combined to create explosive results. Marc’s Massive Momentum Monthly Mailing is sent to client doorsteps every month to reinforce Exponential Marketing Strategies with real case studies, articles and other business building tools. The Dr’s Daily Distinctions are delivered to inboxes every day to enable a client to be held accountable to the 1 Percent Improvement Doctrine. The 1 Percent Improvement Doctrine is about improving 1 percent to create momentum that compounds geometrically and thus exponentially. The Wizard’s Website Wisdom are like steroids for your website based on the 1 Percent Improvement Doctrine to increase online sales channel results. Marc-Ka-Ching is when you a Kreate a Kwintillion Kaleidiscopic Kombinations with your Marc-Ka-Ching Kube. AMarc-Ka-Ching Kube is a Rubik’s Cube with writing on it to help you grow your business exponentially by coming up with out-of-the-ordinary ideas that create extra-ordinary results with a lot less effort and lowest cost. Virtual Real Estate are websites and blogs that create a never-ending flow of new suspects and prospects into your online sales funnel. Flipping Websites For Profit involves buying and selling Virtual Real Estate properties. Business Consultant - Someone you hire to get something specific done for you. There is no coaching involved, this person is all about doing and producing ‘deliverables’ such as reports and analyses.Make sure you are precise about what you want and how it will be billed. Consultants are notorious for scope creep and creating dependencies – buyer beware! Business Coach – Someone who knows something you don’t and can help you improve as long as he/she knows more than you do. (Most business coaches don’t know more than you do, in fact many have failed in business and their careers – so beware!) Make sure they have academic or other legitimate credentials – the school of hard knocks = failure. 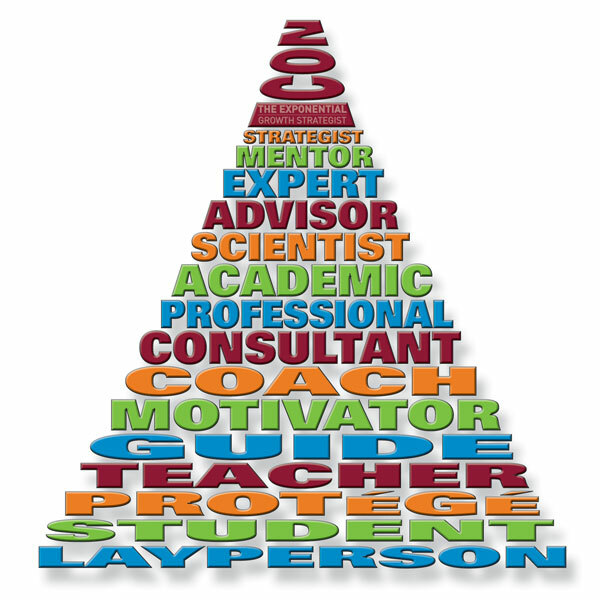 Business Advisor – This is someone who is more than a coach because he or she has expertise or specialist knowledge. Once again – make sure he or she can exhibit this level of mastery and that it’s not all “fluff and puff”. Business Mentor - When you want ultimate results, you want to be coached by a mentor – someone who’s been there, done that. Someone who has achieved and surpassed what you seek to achieve or accomplish. Make sure he or she walks the talk in ALL aspects of his/her life. An obese, multiple divorced person does not exhibit personal mastery. You don’t want success at ANY price, you want success via sustainable and long-lasting strategies – ideally someone who walks the thought - Exponential Mindset Thinking. According to BRW Magazine, the average Australian life coach makes less than $80,000 before travel and other expenses? According to the Australian Institute Of Management’s Management Today Magazine, the average Australian business coach doesn’t have a university or any other formal degree? Physics and engineering are governed by the laws of motion and as such have a lot to teach us about how to spark momentum to create inertia and acceleration that turns into exponential growth with our sales and marketing campaigns. Inertia is defined as the predisposition of a body to remain in the state that it’s in. If it is stationary, it desires to remain still, if it is already moving, it wants to keep moving in the same direction it is travelling in. That is why the proverbial first pull of the merry-go-round is the hardest – to shift the inertia from static to dynamic that will then give rise to momentum. Momentum is equal to mass times velocity (speed). With sales and marketing, the greater the touch points or exposure, the faster sales will come. Large brands and events can create this momentum. Exponential Marketing Aficionados can do it once the initial spark has been triggered. Acceleration is speed or velocity increasing at an increasing rate. In sales and marketing, acceleration is synonymous with Exponential. All of these terms help to explain why Exponential Marketing is so potent a force, one governed by the natural laws of physics – once triggered, the impetus for movement is created to inspire, motivate and empower suspects and prospects to want and become paying clients at an increasing faster rate and greater number. This counter-intuitively means that success gets easier and easier BECAUSE the inertia and momentum created become self-generating once critical mass is achieved. The moral of all of this is simple: The hardest part of Exponential Marketing is getting started because it gets easier once it has begun. The #1 obstacle is mental inertia, the inability of the mind to think it’s possible. It all starts and stops in your mind. That is why the very first step is developing an Exponential Mindset™ that embraces Boundless Possibility Thinking™. The strongest counter-force to positive momentum is called the Vortex Of Mediocrity™. A force stronger than gravity, it quickly and decisively convinces its victim of being incapable of change and improvement thus disabling him or her into a sense of helplessness and constricted thinking and paralysis. Want to know more about what physics can teach you about marketing? Take a look at this short 7-minute TED TALK which was sent to me by Daniel Doiron in Montreal, Canada a Highly Skilled Integration Project Manager who is constantly developing cutting edge knowledge to complete his projects on time and on budget.